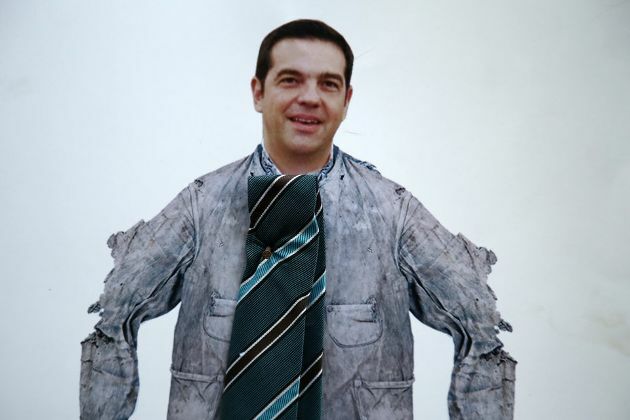 SYRIZA and Independent Greeks (ANEL) MPs gathered to see Prime Minister Alexis Tsipras put on a tie, as he had promised to do if he clinched a deal to reduce Greece’s debt, and then take it off again (so he could get back to work, the premier said.) The frivolity of it all was a poke in the eye for anyone who has suffered over the last eight years Greece has been under its three adjustment programmes, or memorandums, and mired in one of the worst economic crises on record, but was in complete keeping with a government that has often approached its task with flippancy and amateurism. The setting was also a reminder that at least some of what Greeks have been through in the last decade could have been avoided. The Zappeion hall was the holy temple of the so-called anti-memorandum movement in Greece as the then-leader of main opposition New Democracy, Antonis Samaras, presented there in May 2011, his alternative to the austerity-led programme agreed by the PASOK government and the creditors a year earlier. While Samaras was correct to warn that the huge fiscal consolidation was harming the economy, his recipe for overcoming this problem lacked credibility. Proposals for significant tax cuts, combating tax evasion and measures to revitalise the economy were pleasant enough as ideas but completely detached from the reality of Greece’s situation and the lenders’ mindset, which was fully focused on fiscal targets being met so that debt repayments could be secured. Samaras’s Zappeio speech fell so wide of the mark that he went to the same spot the following year to present an altered set of proposals. What it managed to do, though, was to nourish the domestic discussion regarding a simple alternative to the programme being implemented at the time. This growing belief that there was another, easy way out of Greece’s predicament gave SYRIZA, and later ANEL, a platform on which to build support, bring a premature end to Samaras’s time in office after he became prime minister in June 2012 and make it into government themselves in January 2015. The sentiment that there was a hidden switch that could be flicked, ending Greece’s austerity-fuelled economic crisis, underpinned the misguided approach that Tsipras’s administration adopted in the first half of 2015, at great cost. Perhaps the most vexing part of Friday’s tie ceremony was that there was no acknowledgment that the current government had exacerbated Greece’s situation in any way. The event’s focus was an attempt to convince the public that SYRIZA had lived up to its pledge to take Greece out of the bailout and to clinch an agreement to lower the country’s debt. The fact that these goals were only achieved after the coalition completed a third programme, cost Greece tens of billions and hampered the economic recovery were dismissed as mere details. The attempt to portray the agreement at Thursday’s Eurogroup and the end of the third programme in August as the end of a torturous process for Greece is purely politically motivated as the coalition seeks to win back the support it has lost since 2015. We may be looking at the beginning of the end, but it is certainly not the end. Greece’s economy, which grew by a record amount in the first quarter, is still fragile, the unemployment rate is still above 20 percent even though hirings have picked up, unpaid taxes continue to pile up and have passed the 100-billion-euro mark, more than 20 percent of the population is still at risk of poverty, taxes and social security contributions are among the highest in the European Union and the weaknesses of the country’s institutions have not yet been addressed by structural reforms. In these circumstances, nobody can talk of a dramatic change in Greece’s fortunes. At the same time, Thursday’s agreement does not settle Greece’s debt problem. In terms of the long-term sustainability, there was simply a reaffirmation of the commitment to intervene if necessary. In the medium-term, there is an attempt to clear a path for the next 10-15 years by making Greece’s debt servicing costs and funding needs manageable. The 10-year extension to the grace period for the interest payments and amortisation of more than 95 billion euros lent to Greece as part of its second bailout, along with an extension of maturities by 10 years means that the current government and its successors should not be under much pressure to borrow from investors between now and the end of 2032, allowing the country to ease its way back to the bond markets. Also, the return of 4.8 billion euros in profits on Greek bonds held by eurozone central banks (ANFA and SMP) and the disbursal of more than 3 billion euros to buy back some of the 10.4 billion euros that Athens owes to the International Monetary Fund helps relieve the burden over the next few years. With a cash buffer of around 24 billion euros, Athens should be fully funded until the summer of 2020, providing a little more breathing space as it exits the programme this summer. What the debt agreement has achieved is to open up a path for the next few years, which Greece can use to stand on its own feet and move away from a disastrous period of its history. This should not be dismissed as worthless. It is less than ideal but the eurozone has shown throughout the last eight years that it deals in what is politically feasible rather than best-case scenarios. The agreement reached in Luxembourg is designed to buy all sides some breathing space and is in keeping with the piecemeal way in which the single currency area’s decision makers have tackled problems, as frustrating and costly as that may be for those who are on the receiving end. There is a general realisation, though, that the Greek debt issue will have to be revisited in the future. The consequences of keeping current interventions to a level that was acceptable for all member states and their domestic audiences means that a different set of decision makers will have to return to the issue when debt repayments from the second programme’s loan package kick in from 2033. Another extension, or different form of relief, is likely to be needed then, allowing Athens more time to meet its commitments. It is equally clear that although Greece may manage, at a stretch, to produce 3.5 percent of GDP primary surpluses between now and 2022 (as economically unwise as that may be), running primary surpluses of 2.2 percent of GDP until 2060 is an impossibility. The lowering of these fiscal targets will also have to become part of any future discussion regarding Greece’s situation. In this sense, last Thursday’s agreement is incomplete. It is just the first part of the grand bargain that Greece needs in order to truly put the crisis behind it. Whether the second part is delivered in the future depends on what kind of political balances will prevail at the time and whether the eurozone has made progress in addressing its weaknesses. In the meantime, Greece will have to focus on the elements that it can control, which include creating a more business-friendly environment, using any fiscal space wisely and completing the key structural reforms (public administration and judiciary in particular) that were glaringly absent in previous years. This demands substance over symbolism and requires any thoughts of easy fixes be banished. In that sense, let’s hope that Friday’s gathering at Zappeio was a farewell party rather than a homecoming celebration for Greece’s recent ills. New Democracy is a bankrupt political party and Tsipras for sure will win the next elections because from now on we are talking gravy (Tsakalotos will ensure a stable economy and much good news in the performance front). And I am a conservative but unfortunately, the conservatives in Greece are basically worthless and they need to quickly become aware of such undeniable fact.